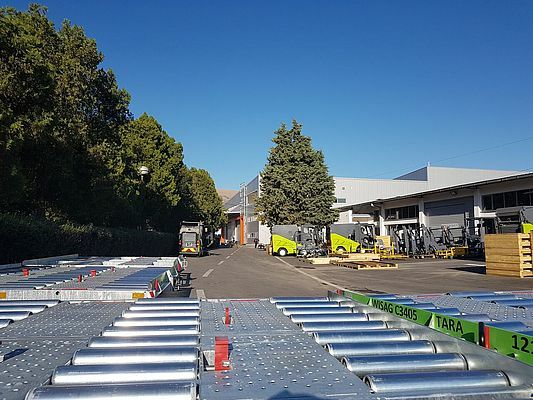 Founded in 1947 in Veles, Macedonia, BRAKO produces parts and components used in medical devices, road sweeper trucks, airport ground equipment, forklift accessories, metal welded constructions, small hydro plants, telecommunications shelters and antenna towers. The company also makes various wire products including nails, mesh and welding wire. Its components range from simple shafts and bushes to hydro turbine house and covers; however, most of its work requires 3-axis milling. The company primarily uses mild steel but also some stainless steel and aluminum. Due to the small size of the Macedonian market — the country has just over two million inhabitants — the overwhelming majority (96%) of BRAKO’s products are exported. Its customers include healthcare companies Handicare Group (Sweden) and Invacare (UK), Dutch airport equipment manufacturer S-P-S, street sweeper manufacturers Green Machines (Austria) and Biostrada (Italy), Austrian turbine producer Global Hydro Energy, and Macedonia’s electric company, EVN. The annual revenue for the 550-employee company was around €28 million in 2016. BRAKO runs three CNC milling machines — two Takumi 3-axis and a Haas 3+1 axis — and three CNC turning machines — a RAIS T250 and two Goodways. 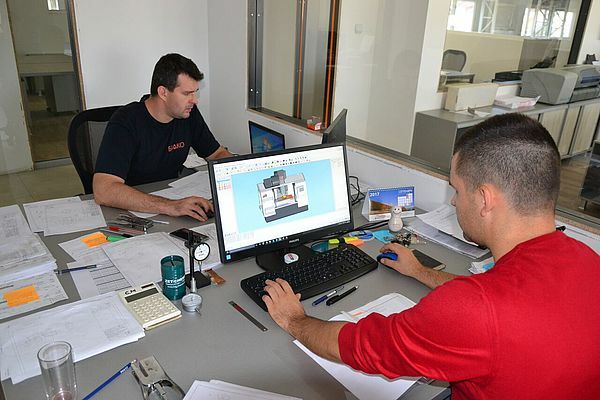 The company also owns a boring machine with a working area of 6 x 4 x 1.5 meters (19.7 x 13.1 x 4.9 feet) and a rotating B-axis table that can also make linear movements in the direction of the Z-axis. Rounding out BRAKO’s inventory is an assortment of laser cutting, tube bending, plate rolling, plasma cutting and coordinated measuring machines and a robot welding station. Prior to ESPRIT, BRAKO used another CAM system and sometimes the manual programming function on the machine to program simple milled parts. “Now we can’t imagine how we’d handle all the machines we have without ESPRIT,” Naumov says. “The most important benefit for us has been decreased programming time and increased productivity: as we’ve begun using ESPRIT to its fullest, we are more than 30% more productive in programming — after just one year.” BRAKO managed to create more than 2,000 programs in its first year, an astonishing number considering the company has only two programmers under its employ. “It’s proof that ESPRIT is very user friendly, especially for similar parts that are repeated frequently,” Naumov continues. 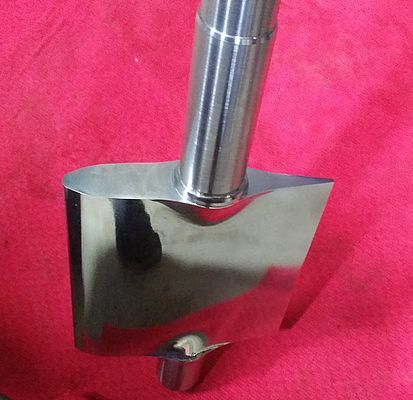 BRAKO recently worked on some guide vanes for a Francis turbine, which are made in two operations — milling, then turning — that are programmed by ESPRIT. The part is complex enough that preparing for production took more than four days. But programming with ESPRIT took less than a day. 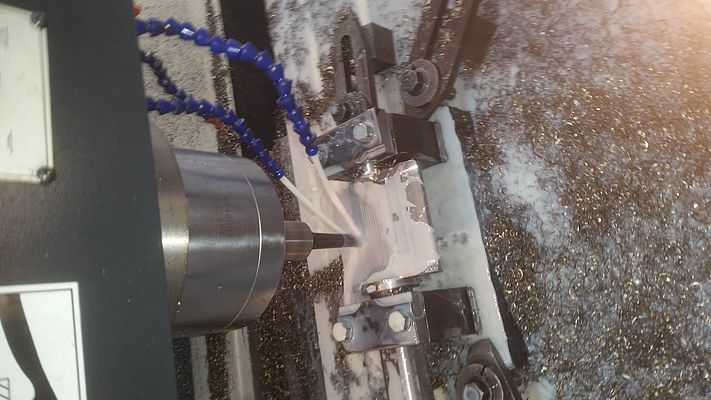 “Using the wide range of standard machining operations contained in ESPRIT helps us to tackle complex and unusual parts with ease,” says Naumov. “We can easily switch production from one part to another, and we can move production of some parts from one machine to another — it only takes a few clicks to generate G-code for another machine. As for its future plans, BRAKO intends to purchase a bigger 5-axis milling machine to machine runner wheels for Pelton turbines to be used in small hydro plants. “It will be a challenge, but we’re in this together with ESPRIT,” Naumov says.